February isn't going to end with a whimper. Much like my birthday today, it's going to end with a bang! Tonight we start with the first and second of three color-themed games to round out the month! The first is right here, and it's a game from the indie studio Fiddlesticks. 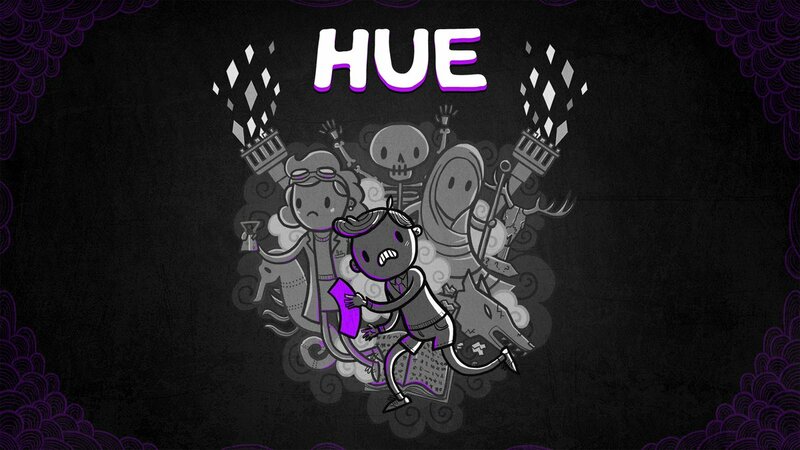 It's Hue, available for PlayStation 4, PlayStation Vita (both cross-buy), Xbox One, and Steam. 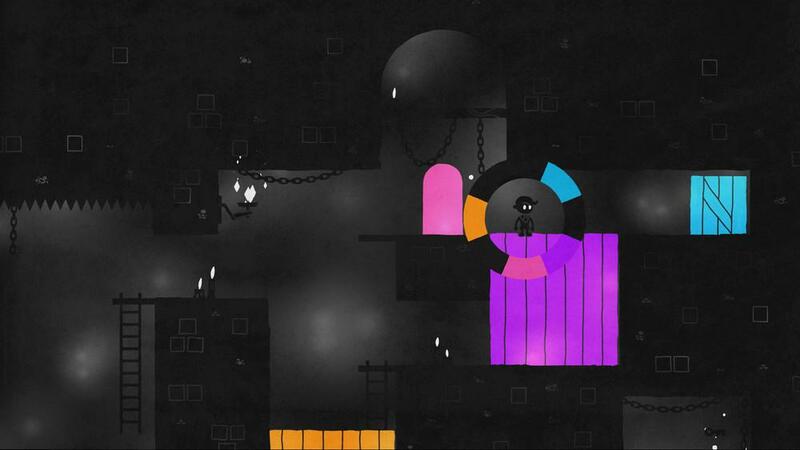 Shades of brilliance color this puzzle platformer. In Hue, you play as the titular boy who is in search of his mother who was a researcher in the field of color at a seemingly prestigious university. Her research allowed her to create a ring that granted her the ability to see color in their otherwise monochrome world. There is some good news and there is some bad news for Hue. The bad news is that the ring has been fractured into eight pieces, each representing a different color. The good news is that Hue's mother has left behind a series of letters to inform Hue of her work as well as encourage him on his journey. For players, her letters also wax philosophical, asking questions for players to ponder like "do we all see the same color when we say we see red?" 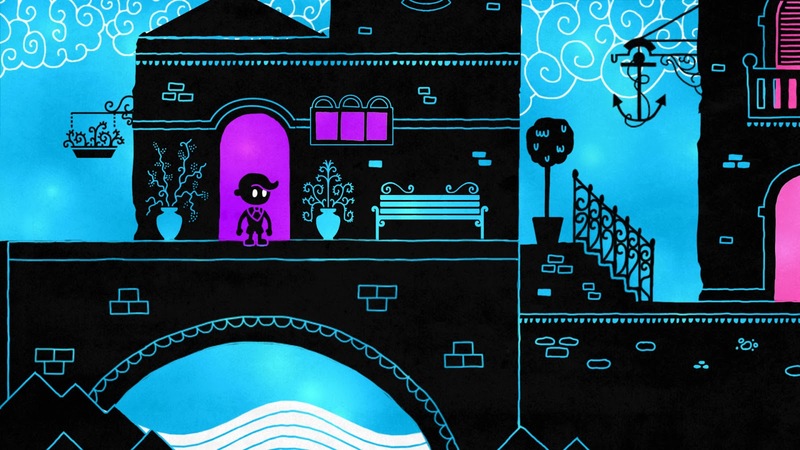 Hue is a mix of puzzles and platforming, sometimes one more than the other. Through a series of linear rooms, players are tasked with solving environmental puzzles and completing platforming challenges. However, it's not just as simple as that, of course, as there's the fragments of his mother's ring that Hue frequently comes across. Each fragment grants Hue the ability to change the background of his current room, so if there's a series of aqua blocks in his way, Hue can change the background to the same color to pass by the otherwise impenetrable obstacle. As you can guess, starting off, Hue is rather easy. After all, you have just one color choice to change the background. As the game progresses, new colors are added into the fold, so by the end of the game you're switching between multiple colors of the eight total available in Hue. Changing colors is performed by tilting the right analog stick, which brings up a color wheel. By pushing the stick towards a color and letting go, the background changes to the color selected. Unfortunately, there is some frustration with this setup. It's all too easy to push the analog stick towards a color, and then when you let go, the cursor can hit an incorrect color when the analog stick reverts to its default position. While this isn't too annoying early on, when you're tasked with timing the switching of colors with immense precision, especially in a room that takes a long time to complete, a wrong color pick can send you back to the beginning of the room. This can waste minutes of your time and all your previous work in that room is for naught! Not cool. As evident by the amount of colors, Hue is still early in his journey here. Hue doesn't gain any other abilities besides being able to switch the color of the background in his world. 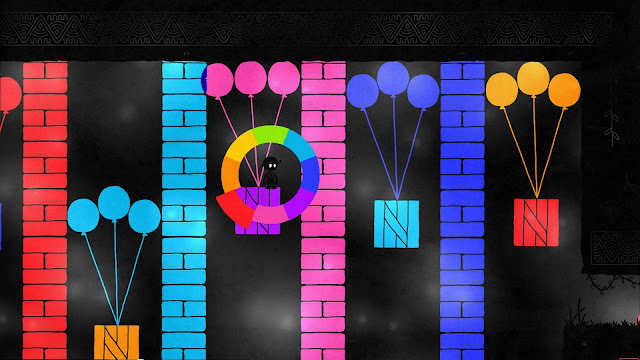 While his main ability stays the same, the obstacles and hazards in Hue greatly change things up, constantly throwing new mechanics in each section of the game. There are a multitude of things to consider, such as boxes to push, buttons that need to be weighed down, spikes, rolling boulders, lasers, bounce pads, and more. Each is generally a different color, so you're switching between colors on the fly at a constant pace. By the end of the game, all of these types of hazards and obstacles find themselves combined together to create some truly tricky puzzles that demand concentration and encourage experimentation. Hue's longevity is a bit of an oxymoron. There really isn't any to be found. Bonus collectibles in the form of 28 beakers can be gathered for those wanting the trophy for it, but other than that, there is nothing to be found replay value-wise. Once the initial 4-6 hour journey has been completed, the only reason to return to the game is to enjoy the story again and play through the puzzles. Most will probably find one play-through enough, though. jumping almost simultaneously after to the next suspended box. The presentation seen in Hue goes for an artsy style. The voice acting of Hue's mother as well the second character who speaks in the game are masterfully done, spoken with soul instead of sounding halfhearted. The score of the game adheres mostly to piano melodies, often soft and lending itself to the environments. Speaking of which, Hue sports a lovely style of silhouette characters and objects, as well as black walls and floors. As you can imagine, the colors seen here in the game pop out wonderfully. Thankfully for those with an inability to distinguish between colors somewhat or at all, there is a color blind option available, which puts different symbols on top of each color, whether in the color wheel or on obstacles. A special color blind option is available for those needing it. Though lacking in longevity as well as replay value (and containing a color-selecting control gripe), Hue was an engaging experience for me. I enjoyed the brief tale being told, and my mind was put to the test a lot of the time when my platforming abilities weren't. Then, there were times when I had to be quick with and master the switching of colors to get through particularly tougher rooms in the game. While the asking price may be too high for what you get, Hue is a clever puzzle platformer that will challenge just as much as it delights.